Fall for Kent County, Maryland - Food, fun, fall foliage and plenty of events to make a great getaway! Get away this fall and captivate your senses. See the spectacular fall settings in the historic towns of Chestertown, Rock Hall, Galena, Millington and Betterton. Visit Kent County on Maryland’s Eastern Shore for autumn foliage bursts of fiery reds, burnt oranges and vivid golds. Hear the migratory waterfowl chatter as they make their way to the open fields and waters of the Chesapeake Bay and its many tributaries that run through and around the county. Savor fresh seafood, locally grown produce and grass-fed beef—all of which many local chefs feature in specialty dishes. Stop in for a tasting at a local winery or distillery. Breath fresh country air as you bicycle the Chesapeake Country National Scenic Byway or paddle the Eastern Neck Island water trail. Feel the water’s mist, as you charter a cruise on the Chester River or sail the Bay. See a show at the Garfield Center for the Arts on High Street in Chestertown or at the Mainstay on Main Street in Rock Hall. So much to enjoy during the fall season! The peaceful vistas and beautiful landscape of rolling hills, farms, vineyards and open space remind us of a time past, when life was simpler. Enjoy the peace and beauty, but be ready to have fun, for this quaint countryside is host to hundreds of events. 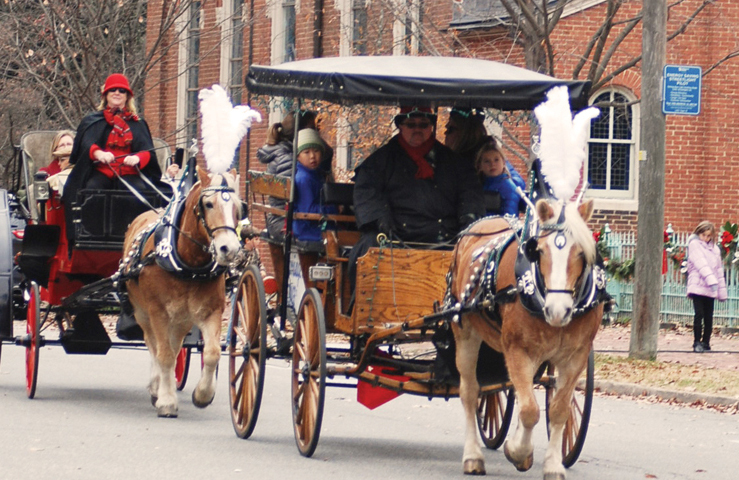 In fact, Kent County has become notably recognized for its many popular festivals and seasonal events. Fans agree that some old-time favorites keep getting better! Try Chestertown’s award-winning Farmers and Artisans Market every Saturday morning in Fountain Park, where you’ll find only made-in or grown-in Kent County merchandise. 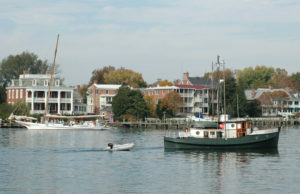 A very busy month for this historic County, October in Chestertown kicks off with year-round First Friday celebrations. You’ll find shops, galleries and restaurants open late, with lots of art and music in this nationally designated Arts & Entertainment District. There are too many events to list, but check out a sampling on the next page of what’s happening in October. And be sure to check the County’s website event calendar for a complete list at KentCounty.com. Grab your wand, and hop on your broom. This Harry Potter-inspired festival celebrates the Potter spirit and theme while promoting the local community and its arts. A fun-filled weekend features a wide array of free and ticketed events sure to delight wizards and muggles alike. 210 High St. ChestertownHPFest.org. Costumed guides lead ticket holders through centuries of stories, each tour ending with a visit to a purportedly haunted historic house. Tours begin at 6:30 and run every half-hour until 8:30. A dozen private homes in this National Landmark Historic District will open their doors. 1 to 5. $25–$35. KentCountyHistory.org. Come hungry to “Celebrate the Oyster,” prepared every which way for every taste bud. Main Street closes to become a street-fest of delicious oysters, music all day long, food and craft vendors, kids court and more. 10 to 4. MainstayRockHall.org. Drive that classic or just come to see the cars, hear the music and relive the ‘60s. 5:30 to 8:00 pm on Main Street. RockHallCruiseNightsBySmilinJakes.blogspot.com. Maryland’s newest haunted attraction serves up terrifying haunts including “The House of Hell” and “The Barn of Torture.” Shoot live zombies on the Zombie Paintball Ride. Gate opens at 7 pm. 13335 Alexander Rd., Galena. 301DevilsPlayground.com. A free self-guided adventure throughout Kent County. More than 60 artists, many nationally known, open their studios and invite visitors in to see and discuss their work and offer studio prices for these one-of-a-kind creations. 10 to 5. ChestertownRiverArts.org. One of the largest annual Tall Ship gatherings on the East Coast, the waterfront is packed with ships, schooners and wooden boats. 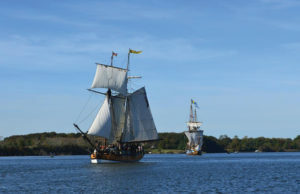 Enjoy world-class musicians, lectures by nationally recognized authors and filmmakers, and opportunities to go sailing as part of a fleet of Tall Ships. Reservations at SultanaEducation.org.